This year’s London Film Festival featured many groundbreaking pieces, but one of the undoubted highlights was the emotional, topical and ultimately essential animation The Breadwinner. We spoke to director Nora Twomey and star Saara Chaudry (who voices the lead character) about making the movie and working with a global superstar to bring it to the big screen. 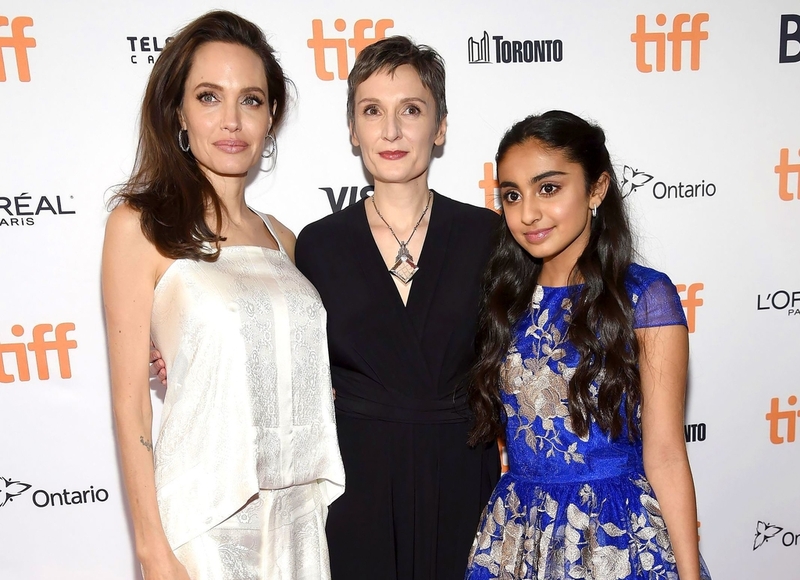 Based on a book series by Deborah Ellis and produced by the team behind The Secret of Kells (2009) and Song of the Sea (2014), The Breadwinner tells the story of 11-year-old Parvana and her struggle to provide for her family in Taliban-controlled Afghanistan. Cultuer Trip (CT): What was it like when you first met Angelina Jolie? Saara Chaudry (SC): There are actually pictures of when we first met at a red carpet [event]. It was incredible to see how genuinely down to earth she is. You see things in the media all the time, and we spoke about when Nora stepped off a plane to go for a meeting with her and saw magazines with all these crazy titles over them. Then, when they met, you find an incredible woman with so much compassion and a real need to help others. She works endlessly to do that. I was stunned when I met her, just a wonderful human being. Nora Twomey (NT): Angelina actually came on at a very early stage. She was very good at finding that sensibility having spent over a decade involved with what is happening in Afghanistan. She’s set up schools and helped many young girls there. She helped with the casting and finding as many Afghan influences throughout, and that even included the score. What’s great is that the films is made in Ireland, in Luxembourg, in Canada. Its from all over the place, and that spirit of cooperation is held throughout. There are many different elements in the ending of the film. Hope is a huge one, and Angelina Jolie was quite specific about guiding me as a filmmaker in getting the right note for the ending. CT: How did you go about visualising the landscapes depicted in the film? NT: We looked at as many references as we could, but it was difficult because we are obviously depicting a time and place where you couldn’t really have a camera. We looked at the period just afterwards and we had an American artist that communicated information to us in spoken word. It was quite beautiful, and an unusual one. It feels more respectful and we knew we couldn’t take it for granted. We had to acknowledge where the film is set and when its set. The book was published in 2000 and obviously so much has happened since then. We had to acknowledge that in some way. But overall, there are no easy answers and that’s especially true for a film aimed at young adults and older. CT: Saara, how did you go about finding the right voice for Parvana? SC: The accent was key in developing the character, and so I had a coach for that. The actor who plays Razaq [Kawa Ada] was always there with us as a consultant. He would always change little things, but was very patient. We had rehearsals and practice sessions beforehand. The relationships she has with her family also had to feel real and solid. That actually helped with the accents too. CT: Did you have any hesitations about making this story as an animation? NT: I absolutely had no hesitations. I’ve always felt that animation is not a genre, its a medium. It doesn’t have to be funny or have talking animals. Its an incredible medium in which you can explore many fascinating subjects. It’s not a shorthand in this film. It was exciting to use the talent and skill of over 300 people to tell this story. We know its a slow process, this took four years from screenplay to screen. There’s a magic in the approach, I find. It comes from the gut in terms of everything like the voice. It comes from the being. Animation too has a quality that is universal and pulls people together. CT: What did you learn about your character by the end of the movie? SC: I picked up so much, but the main thing is understanding what young girls around the world face. It made me and provoked me even more to look at women’s rights and gender equality. I realised how fortunate I am to be able to turn on the faucet and have clean, running water. I really, really want to help other young girls like me. I’ve read all the books, so I know kind of where they go next and what happens afterwards. It is all an adventure though, so if we do follow the trilogy I’m just excited to see what Parvana’s energy leads her to. CT: It’s obviously a difficult time period to show on screen, so how did you go about balancing all the different themes, and even sensibilities, of the region? NT: We had a lot of people guiding us in terms of the [religious] sensibilities. The relationships that every family have in common were the main thing. The fractious relationship between siblings or the love a young girl has for her father. We wanted to pull every culture together with those common themes. We, of course, researched the complex political history of Afghanistan whilst making the movie and we knew we could only pose the questions not answer them. The more we realised that, the more we could take on serious issues. We had to have rounded characters and getting information about experiences in the country and as refugees. We had different people of all ethnicities and backgrounds involved. 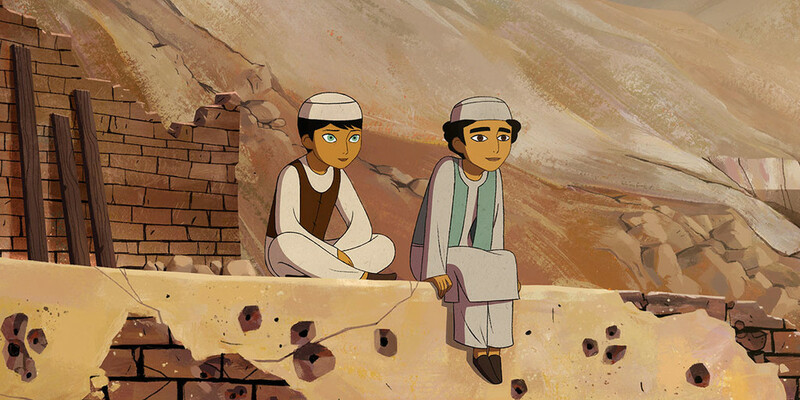 The Breadwinner was previously screened at the Toronto and London Film Festivals. The film will be released in the UK in 2018.